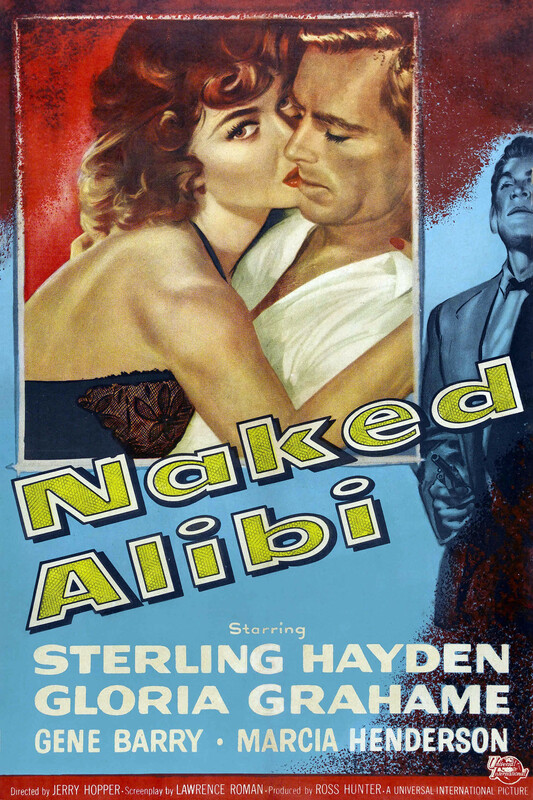 Standard film noir with Sterling Hayden playing a hard-nosed “psycho” cop determined to prove the guilt of a cop killer (played by Gene Barry). Hayden is fired from the police force for being too tough in his investigation, and he abandons his life to track down the killer on the border of Mexico. There he meets a nightclub singer played by Gloria Grahame. The motives become muddled as the cop, the killer, and the woman they love form a dim-witted love triangle as they try to kill each other off. Director Jerry Hopper does an adequate job of directing the weak script. Sterling Hayden generally rises above the material, but his character is written so inept that even he comes off as a fool sometimes. 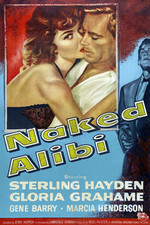 Naked Alibi is a 1954 black-and-white film noir crime drama starring Sterling Hayden, Gloria Grahame and Gene Barry. Portions of the film were shot in Tijuana, Baja California, Mexico.